Axis Of Oversteer: How good are the shocks on your car? How good are the shocks on your car? Loud exhaust? Ok, I hear you. Big Brake Kit? On so many cars it just announces to the world you brake too much. Truth is, you cannot be a serious tracktard until you've had explain to someone how you dropped 6 to 10 grand on a set of shock absorbers. What? Wait , a set of Bilsteins for my Miata cost $120 a piece, you say? Well, there is so much about shocks you need to learn then. Shocks (or dampers if you are British) are the vital component keeping wheels in contact with the the ground and, a car can only steer and move forward is there is a contact patch. With shock absorber, maybe more than any other performance part, you get what you pay for: adjustability, range of adjustment, build, travel and ability to be serviced. For a club racing track car, a good set of shocks might be in the $4K to $6K range but for a WRC car? You can do the math. 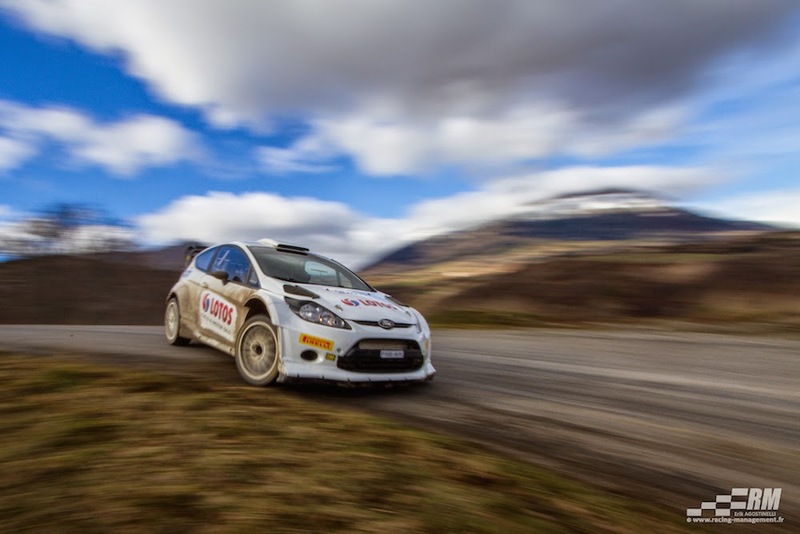 Why you'd need the best available shock technology is well illustrated in this video of Robert Kubica testing his LOTOS Ford Fiests RS WRC ahead of the Montecarlo rally. That particular stretch of road was clearly chosen to work on shock settings and you can see why as Kubica rips at ridiculous speed over bumps and troughs that would sent an ordinary car flying into the woods. The Fiesta bottoms out and bounces off the ground but Kubica is able not to lift, in part because of his huge balls, in part because he knows he can count on his wheel having maximum contact with the tarmac. Eh, there's a big problem though. WRC cars only look visually similar to their road car counterparts. In fact they're vastly different chassises. They have better suspension geometry, and perhaps more importantly longer travel. Way too many sports cars these days have fundamentally terrible suspensions. Short travel, bad geometry (macpherson struts FTL). It doesn't really matter how great a shock you put on those broken suspensions, you can't ever make them great. Lots of modern sports cars only have 2-3 inches of travel before you get into bump stomps, and that is no good. Lots of sports cars go into positive camber or toe-out under load, and that is no good. The problem is "multi-link suspension" and "long travel" don't sell sports cars. You see "multi link Suspension" touted on almost every car now... With the caveat that suspension must be looked at as a whole system, shocks can make a tremendous difference in how a car behaves. Anybody who spends serious money on "shock absorbers" should know that they are not shock absorbers at all, but rather are more correctly called "dampers." In fact, they are there to damp the vibration of the spring between sprung and unsprung masses, thusly making it even more appropriate to call them "vibration dampers." I'm Australian, I drive Holden Commodores and Ford Falcons. Commodores use mac struts up the front and Falcons use double wishbones. The control and travel in a Falcon front end has always been a step above the Commodores, imho. Especially on speed humps and dirt. But is a more complex and expensive layout to maintain. The rear suspension are both multilink. And pretty even in execution. But the Falcon is the better drive in all conditions. But Commodore still outsells Falcon 4 to 1.